Half Acre Beer Company is a stalwart on the Chicago craft beer scene. Founded by Gabriel Magliaro in 2006, they're regarded as some of not only the best beer in the city, but the Midwest. That's apparent not only in their distinctively hop-forward brews, but also in their recent (and long-awaited) expansion of their current space & up the street in the Bowmanville neighborhood. 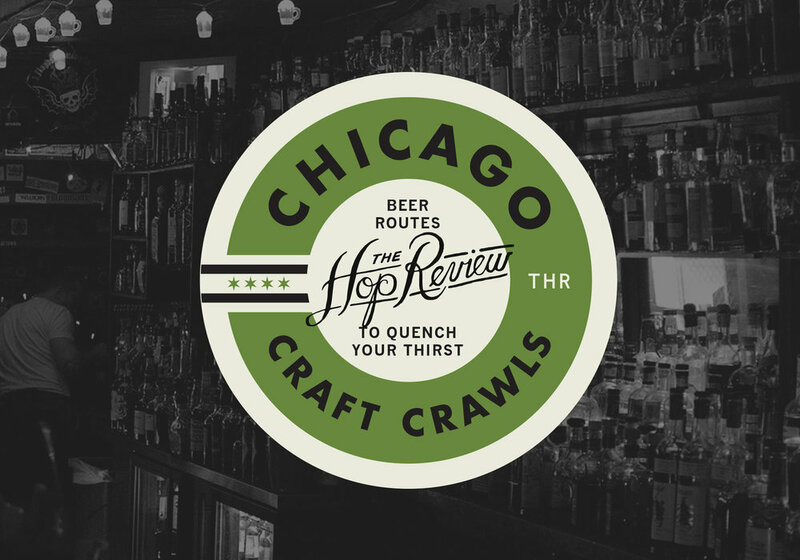 I still remember "HA" being one of my very first introductions to Chicago craft beer – when my attention was grabbed by a bold type lockup overlaid on a water tower graphic, resting of a six-pack at the grocery store. That was their "old" imagery used for their lager packaging. Fast forward seven years, and a lot has changed with Half Acre visually. "We look at design and branding as an equal partner to our beer. It offers context and an additional level of conceptual footing. For us, a lack of consistency is a key part in communicating different corners of our collective personality." Well, there's one thing that their beers as well as their branding approach is not – boring. Photos provided by Half Acre and are courtesy of Brew Bokeh. All label art is done by Half Acre's full time artist, Phineas Jones.